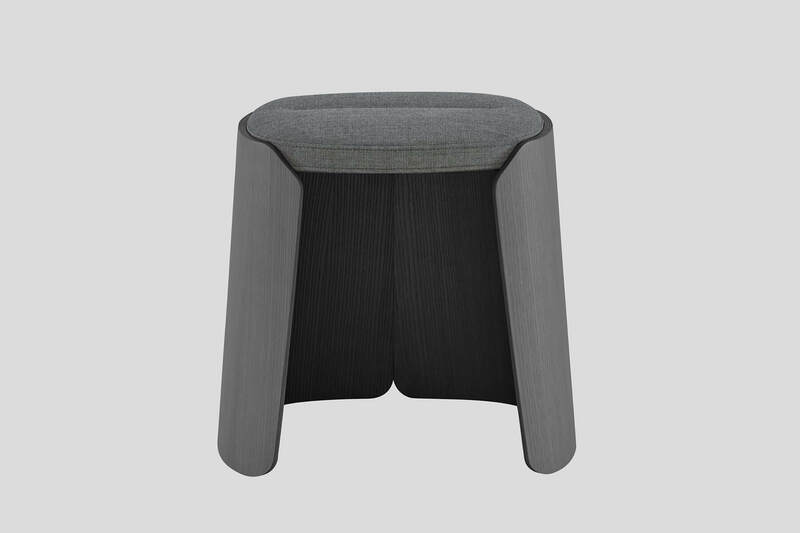 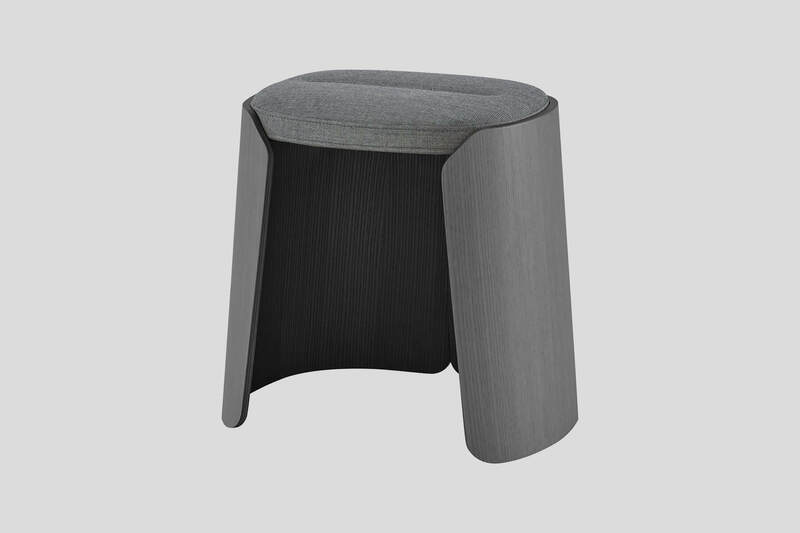 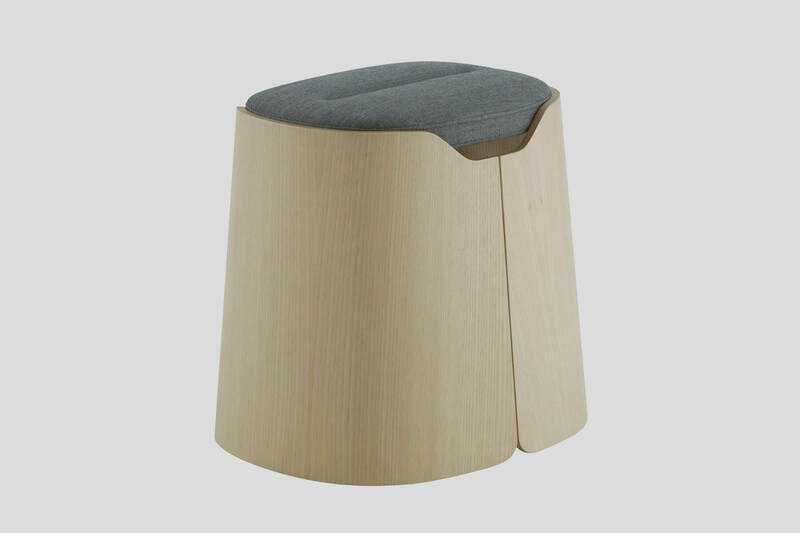 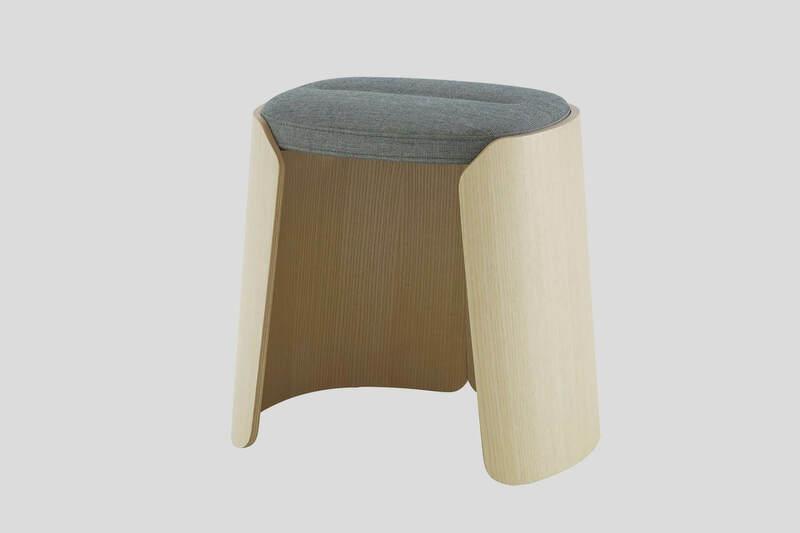 Designed for the design department of the Renault group, JOA is a stool made of a textile wafer set with two symmetrical molded wood envelopes. 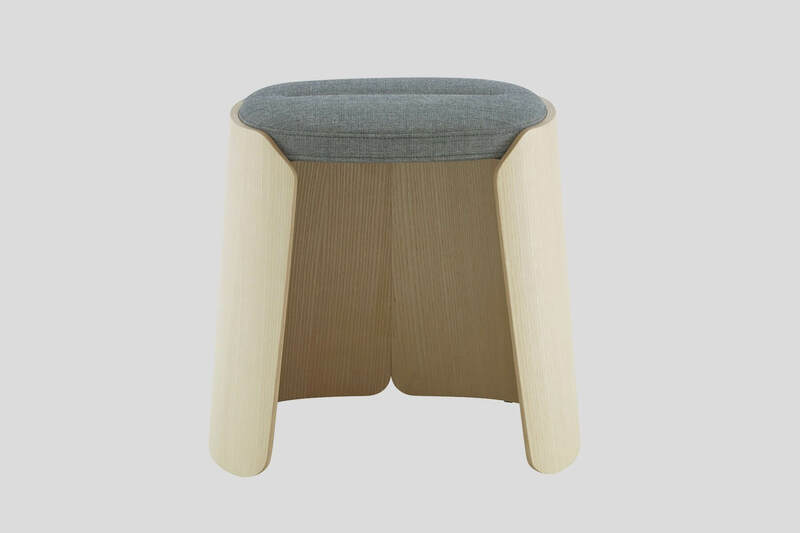 This cushion by its composition and its jovial form offers a comfortable seat. 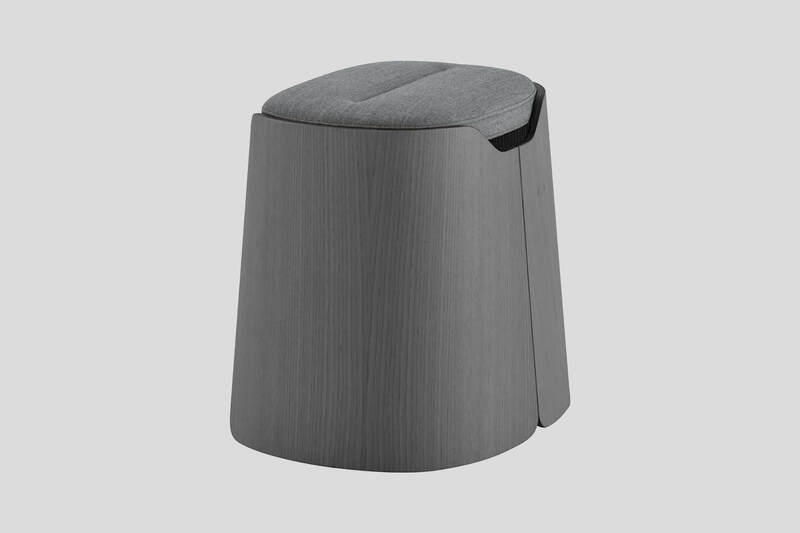 At the meeting of the two shells, the cutting of a handle makes it easier to grip.